start a page listing the products/services that I used to start Food Faith Fitness, as well as a few other things that I find useful. BUT, before you read all the products and services I use, make sure to read my page on how exactly to start a blog step by step! Then, you can use all these goodies! Disclaimer: Some of the links listed below are affiliate links and I will earn a commission if you do purchase the products through those links. However, I only promote products that I use and love, and those that are from companies that I trust. Feel free to email me if you have questions! First you’re going to need someone to host your blog, and that is where Bluehost comes in. I hosted with Bluehost for the first year of FFF, and was really happy with how easy they made it to get it up and running! They have FREE domain name registrations, (that’s the name of your website. 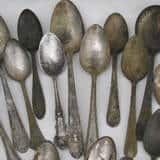 IE: My “domain name” is foodfaithfitness.com) and they are SUPER afforadble. Bluehost is just an all around great place to start your blog. Orange Geek is who I currently host FFF with, after needing a to switch to a dedicated, virtual server because all of you lovely people just kept coming 🙂 A dedicated virtual server just means that your blog can handle more traffic. Also, if you use the promo code foodfaithfit at checkout, It will apply a 20% discount to your first hosting purchase no matter what term you choose. For example, you can choose 1 month of the $40 per month plan and save $8 or you could choose 12 months of the $40 plan and save $96. It’s only valid for their first purchase though and it doesn’t apply to renewals. WordPress is the most powerful way to build your blog, and it’s the most popular blogging software. You can do a free version, but you don’t have as many options. You also have an ugly website URL (example: www.foodfaithfitness.wordpress.com) If you do the paid version, you get an awesome URL (www.foodfaithfitness.com) and a whole lot more options. Plus, it’s harder to change over to the paid once you get going on the unpaid version. So my advice? Start off right. Do the paid. I started Food Faith Fitness on a free theme (I have upgraded since. See below) and there are some great options to get you started. You won’t have as many options using a free theme but, like I said, it’s a great way to begin if you’re not ready to commit to spending the billz right now. This is a VERY popular framework among bloggers, however, it’s not free. You also can’t run it on it’s own so you’ll need to purchase what is called a “child theme” (see below) in order for it to work. You can also get your own child theme developed for the Genesis Framework. This is the Geneis Child Theme that I use…and so do a TON of other bloggers. You’ll need the above mentioned Genesis Framework to run this theme on your blog, but it is SO worth the expense. This theme is easy to navigate, VERY customizable and totally clean, beautiful and professional looking. I HIGHLY recommend it! Akismet – This blocks spam comments. I get about 48q859q804 spam comments a day, so this is a major life saver. No one wants to read 2443942039 spam comments. Comment Reply Notification – I respond to every comment from ya’ll…and have you noticed? I hope so because this plugin sends you an email when I respond, so you don’t have to keep checking back 100 times. Not that you care that much. But, you know, people like responses. Just get the plugin already kay? Easy Recipe – This plugin allows you to input your recipe in a way that looks pretty and professional. I use the paid, plus version of it…but the free version is awesome too! “Pin It” Button – Everyone likes pinning. This allows people to easily pin your fab content by just clicking on a cute little “pin it” button. Easy huh? Shareaholic – This plugin puts all the options to share on your social media accounts at the bottom of each post. It makes it SUPA easy for people to share your delicious food ALL OVA the web. You should have this FO SHO. This is the lens that I shoot food with about 50% of the time. I recently upgraded to a macro lens, and now shoot with that also. Until about December 2014, you will see photos that are almost 100% shot with the 50mm. The Canon EF 50mm is what is called a “prime” or “fixed” lens, which means it doesn’t zoom. You use your feet to zoom 🙂 Many people refer to this lens as the “Thrifty Fifty” because it’s one the cheapest lens’ out there that gives you gorgeous pictures with super creamy bokeh (the technical term for the pretty, background blur of a photo.) I seriously LOVE this lens. As mentioned above, I recently upgraded to the 100mm Macro Lens…and I am obsessed with it. It allows you to get that close-up, OMG I WANT TO EAT THAT shot. However, it does not come cheap, so I do recommend starting out with the 50mm and saving up for this beauty! and got SO frustrated because, never fail, it would always tell me “CARD FULL” mid-shoot. Not so fun when you’re trying to capture that one-time, melty cheesy shot. Get the big card. These are seriously the coolest little things ever, and they will change your photography! This little disc is completely collapsible and has 4 different colored reflectors, as well as a built in diffuser. I use a diffuser between the window and my food on really bright, sunny days as it creates a really soft lighting environment when the direct sunlight is very harsh. I also use the silver reflector to bounce some extra light onto shadows to soften them, or the black reflector to absorb light when there is too much. Craftsy has some great online classes for photography, and this class teaches you the VERY basics of how to use all the material you just bought! It’s a great place to start to get you going and learning! Now you’ve got the photos, but you’ll need to make some minor touch-ups! If you know anything about editing photos, you’ll know that people LOVE Lightroom and Photoshop. Now, they aren’t cheap. However, you can purchase an online subscription for only 10$ a month! This gives you access to both products, and this is the way that I use them. I use Lightroom about 95% of time, and for 100% of my editing. I absolutely LOVE it. It’s SO easy to use, unlike photoshop which has so many options that my heads wants to explode. The only thing that I use Photoshop for is to make GIFS (moving pictures) and to put the text on my featured post image. These tools are a MUST. Now that you’ve got Lightroom, you need to know how to start using it! This is another Craftsy online class to get you started on editing those photos to make them POP! I got together 11 awesome food photographers and asked them their top top for learning how to take delicious, mouthwatering food photos…and made them all into an Ebook! Best of all? It’s completely free! Just click the link above and you can download this book and get all the tips from the pros! You’ll be taking awesome food shots in NO time! Do you know Pinch of Yum? Yes you do. Lindsay and Bjork are a POWERHOUSE team of bloggers. Lindsay takes GORG food photos, and wrote this awesome e-book on how to do so! It was one of the very first books I read, and it covers everything from camera setting, lighting to styling! It’s a GREAT resource! If you asked me the ONE book I HAD to pick for you to read first to kick up your photography, it’s this book. You will hear TONS of bloggers recommend it, and for good reason. This book is how I learned to style photos. It also talks about basic camera stuff, lighting and editing, but it’s focus is on how to set up a gorgeous photo. This is a MUST read. We JUST talked about the AWESOME team this is Pinch Of Yum, and now they’re about to get more awesome. 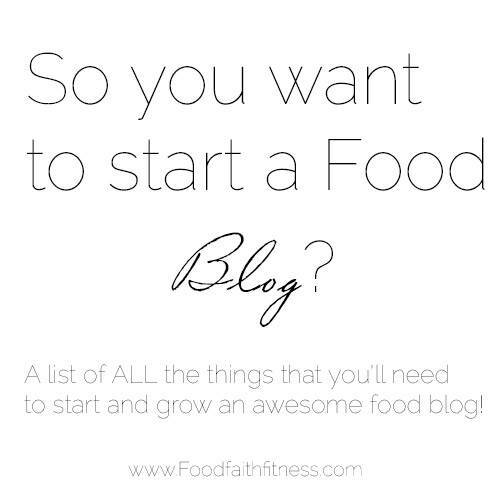 They have a whole website devoted to helping Food Bloggers learn how to start, and grow their blog. It’s not free, but it’s SUPER affordable and SO SO helpful. 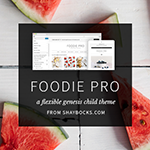 I learned SO much from my subscription to Food Blogger Pro when I first started FFF. It’s great!! Kiersten Frase is the AWESOME creator of the blog “Oh My Veggies” and has been able to turn her blog from a hobby into a full-time business (like me!) But, I didn’t write an ebook – so you should read hers! 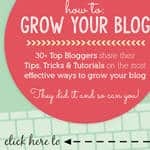 It’s gone a TON of great tips for you to also grow your blog into a job that you LURVE! If you’ve been around FFF for awhile now, you’ll remember me talking about this book…because I helped write it! Over 30 awesome bloggers all contributed articles to this book. It deals with things like comparing yourself to other bloggers(my topic!) Time management, social media, monetization and more! It’s another awesome resource to get your grow on! You’ll need a way to tell people about your new posts, so that they know when to come and check out the awesomeness! There are many programs out there that let you create an email subscription list, but I find that Mad Mimi is the most reliable (they respond to ALL emails in about 2 seconds, even on weekends!) and the most user-friendly. 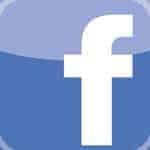 The scheduling service on Facebook posts. Some other people also love: Coschedule.